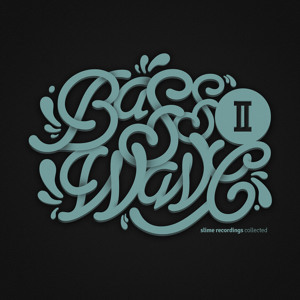 Featuring the best of their past 50 or so releases, Basswave 2 is the culmination of an outstanding year for Slime Recordings. The vibe is deep and eclectic with tribal, melancholic, soulful and heavyweight bases covered in the pick of the year’s releases. Slime have had a swarm of impressive debuts this year, notably from the likes of Akin and Vausz to name just two – as well as a number of important releases from established artists such as Partyson and Totte. The bar is high, and that is reflected by the quality of the tracks on this compilation. If you are new to this imprint then you could do much worse than start with this release – before you inevitably go sifting through their back catalog for their other quality releases. Celebrating their 50th release, Slime Recordings keep it fresh as ever with this innovative and accomplished debut album from Vausz. The tone is ultra futuristic whilst conjuring up a palpable sense of nostalgia. Vausz depicts a future kindred to the gritty and dark Sci-Fi flicks of the 1970’s and 80’s. Modulated lo-fi sampling and an array of classic synths and dub effects are put to extremely good use, the familiar palette subject to a whole heap of inspiration and innovation. We are teleported to a myriad of musical worlds; Club chords are spliced with Hip Hop breaks on the laid back ‘Nomurai’, whereas reggae dub vibes are subject to a sudden inexplicable metamorphosis in the schizophrenic ‘Thoughtforms’. With influences ranging from dub, dubstep, acid, hip hop, reggae, deep house and techno, tracks also vary greatly in length – the briefest clocking one and a half minutes and the longest stretching out over ten. Just another example of how Vausz likes to do things differently. 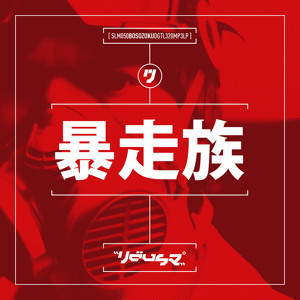 ‘Bosozoku’ is packed with musicality and innovation with many of the tracks have more than one song to sing. This is an extremely well composed and balanced release that tells its story in vivid colour and detail. Well deserving the props, we are giving this one our solid RBP seal of approval. We think you should too. Available from 3rd December.